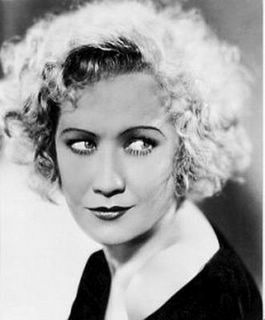 Miriam Hopkins at the peak of her career. Behold the face of the woman who once drove John Gilbert to shoot a bullet over her head. (He suspected her of cheating on him, and he was probably right.) Her reaction was to take the gun away from him. By the way, if you haven't visited Lance Mannion's site lately, you should know that he has his own thoughts on Gone with the Wind, starting here, continuing here and ending here. Lance is always a treat to read, and the comment threads at his place are lively and informative, so do check it out. I've been reading the Lance Mannion pages on GWTW. Your comment on Leslie Howard's death made me remember a slightly myth-breaking bit of research on him that I came across recently. It's very, very, very Off-topic (so much I don't feel like posting it here ) but may send you a mail with the info if you are piqued. I mentioned on Lance's site Googling Leslie Howard and finding him not even the top listing. That is sad. I realy love this blog and most movies I saw you enjoyed... tell me, did you ever see Sullivan's travels? Did you like it? Thank you very much, Spin. Indeed I have seen "Sullivan's Travels" and it's a favorite. I love almost every Preston Sturges film I have ever seen. One of the regulars at my theater insists that "Mims" was the best actress in classic Hollywood. I haven't seen enough of her work to agree or disagree yet, but I'm working on it.